Planning a gala or fundraiser is unique to any other event planning process.  At Saz’s Catering, we understand that your objectives are unlike any other, as are your challenges. Gala and fundraising events seek to provide a seamless event experience designed to motivate generosity while also providing an enjoyable networking experience for your guests. At the same time, these events endeavor to increase awareness and create loyal contributors. To do this effectively, planners must make guests feel fabulous, special, and appreciated. More often than not, planners feel pressure to coordinate an extravagant experience with guests dressed to the nines, high-end entertainment, and a seven-course meal. While this is lovely, and frequently effective, and certainly a welcome opportunity for your caterers, event planners, and venues, it is not the only option available! With a typically volunteer-based planning staff, stringent budgets, a heavy push for maximum return on investment, and the need to still meet higher expectations for innovation and creativity than in years past, we understand the challenges, and we know how to address them each in their own right – all while alleviating the heavy workload you may be carrying along the way! 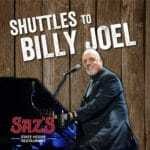 Over the years, the focus for galas and fundraisers has shifted a bit more toward the unconventional. With planners vying for the attendance of guests pulled in multiple directions amidst overscheduled days and weeks, the value in attending YOUR event over another has to be apparent from the get-go. This is where Saz’s steps in. Custom menus in unique venues? That’s our forte! Whether your event is the pinnacle of thematic sophistication with heavy media attention or a more informal gathering of the neighborhood’s finest in the middle of nowhere, Saz’s Catering has the event manager and the culinary expertise to make your guests’ experiences the very best – creating a pleasurable experience and association with your cause after the fact. When galas and fundraising events are done well, they can be extraordinarily effective and memorable, creating loyal attendees year after year and thereby steadily increasing contributions and awareness. Take a look through some of our menus above and let your mind wander toward the type of event you envision for your organization. When you call or email, we’ll give the objective of your particular event ample consideration as we develop a menu suited to your needs. Using creative customization, we are able to maximize value while still providing an exceptional experience for your guests. Add to this a host of service styles and full event planning capabilities (from menu and linens to rentals, venue coordination, transportation and more), and your organization is primed for success from the start.